The April data on pending home sales was extremely weak. In addition, the mortgage applications index for purchase mortgages is hovering only slightly above the levels reached last May, following the end of the first-time buyers tax credit. 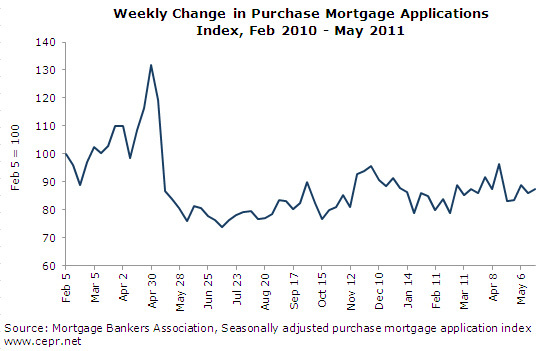 This suggests that home purchases are likely to be weak for the near-term future. For more, read the latest Housing Market Monitor.